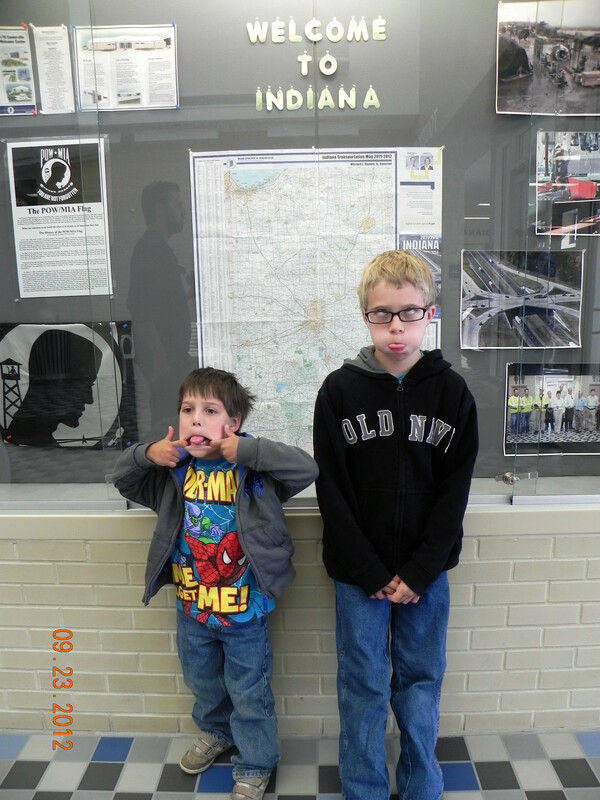 The boys making faces in front of the Indiana state map. 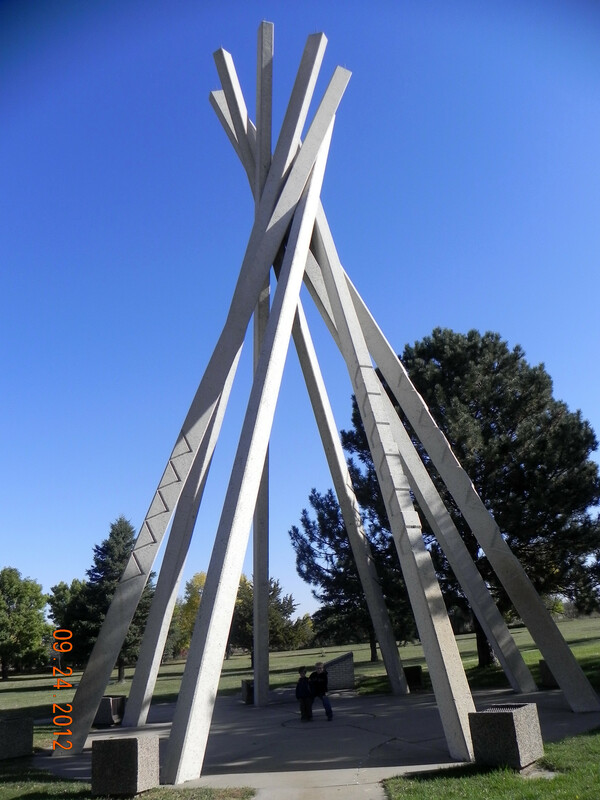 These tepee’s are dotted along the highway in South Dakota. The boys are in the middle. So I am going to back track a little with some pictures here. We were only able to get ones in Indiana and South Dakota. We crossed the other states at night. 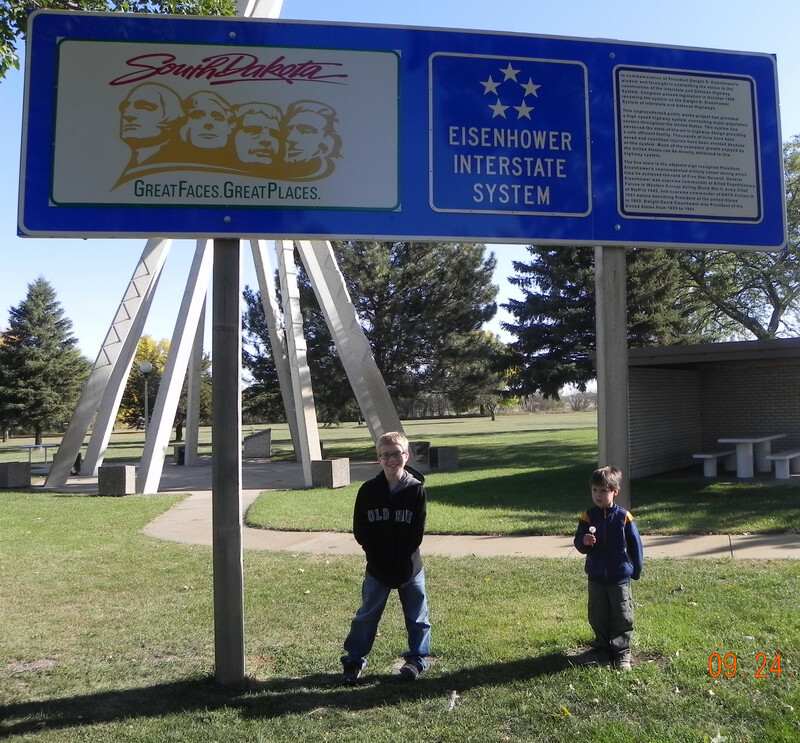 The boys in front of the South Dakota sign. A panoramic view of where we stopped at the Badlands. I left off the last post with the Badlands. 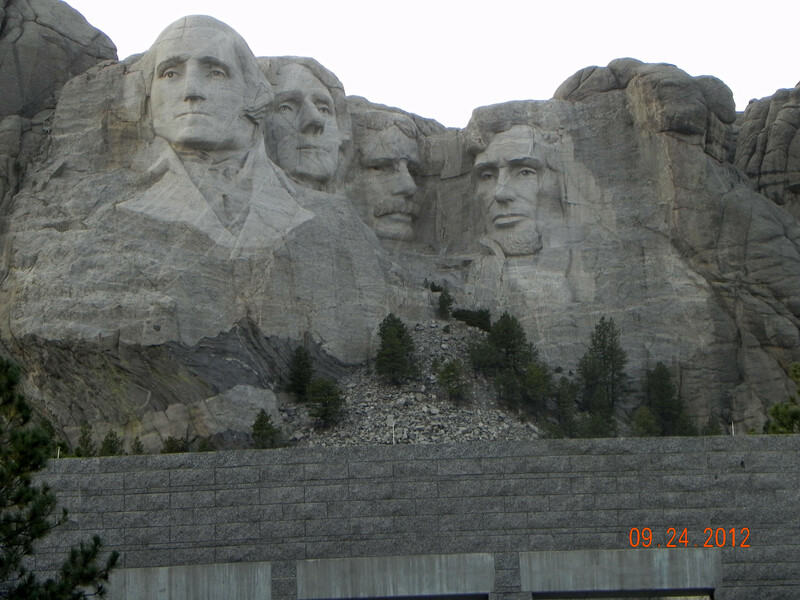 Once we made it through there, we headed straight to Mount Rushmore. We actually went in the park and ate dinner before going up close to see Mt. Rushmore. 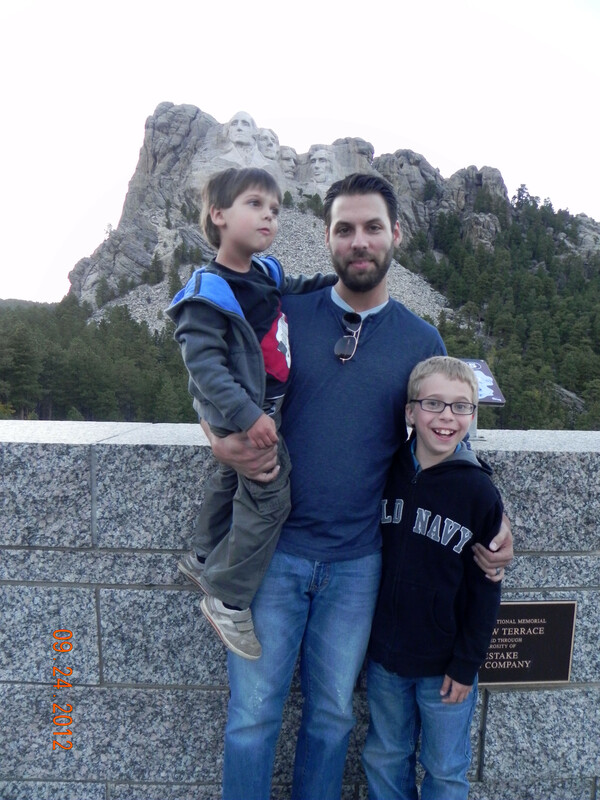 This was a wonderful experience, not only did we get to see this great national monument, but we met the last living man to have worked on Mt. Rushmore! I of course bought his book about all the questions he has been asked over the years and the answers to them. I read some of it to the boys in the car, but not sure how much of it stuck for them. This was a first for all of us, and while the boys probably don’t realize how cool it is to see, Nate and I definitely did. We just sat and stared at this amazing feat. Truly incredible to learn how the carved the rock and how many people it took to do it. 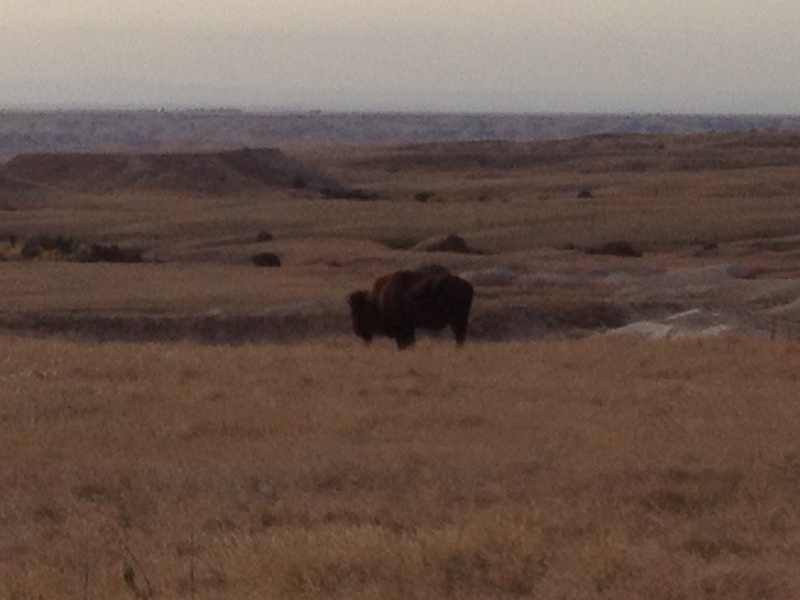 After this, we left and headed toward Montana. This is one of my favorite states, my very favorite being Washington. No matter which route you choose, Montana’s landscape changes as you drive through and by the time you reach the western side, it doesn’t appear to be the same state at all. Between entertaining Nate and the boys, and enjoying the scenery myself, I didn’t think to take any pictures. If I can find them from past trips, I will add them later. For now, enjoy the pictures. I am still learning how to add them. This might take me awhile, as I am easily frustrated with technology. 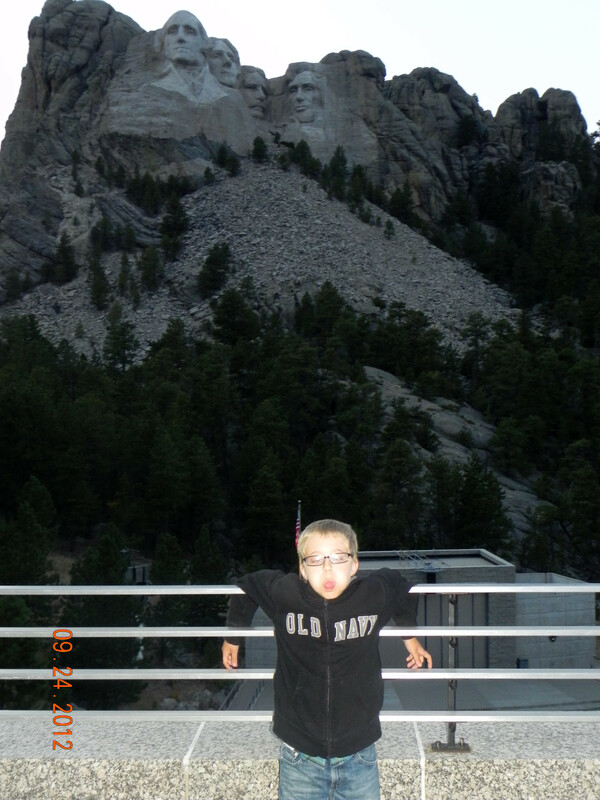 Bjorn in front of Mt. Rushmore.